“Can’t Go Wrong Here” Interview with Michael Klinkhamer in Phnom Penh. 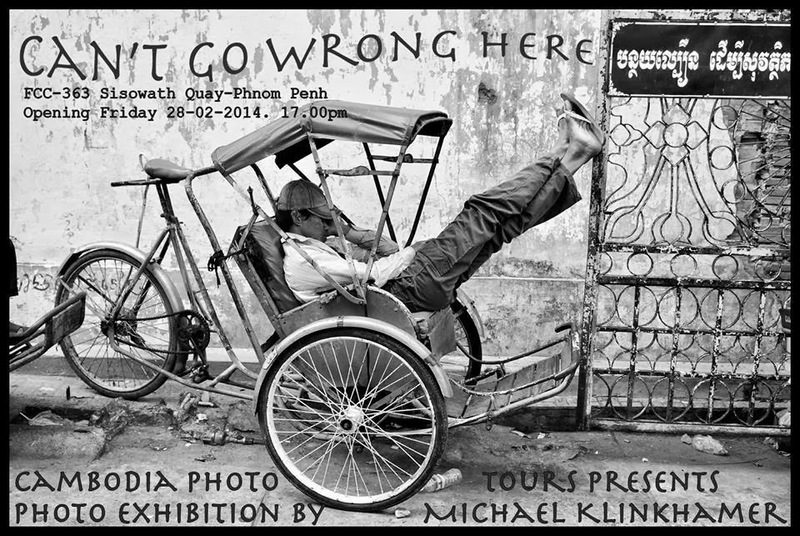 Dutch photographer Michael Klinkhamer will be exhibiting his photo series “Can’t Go Wrong Here” at FCC Phnom Penh. 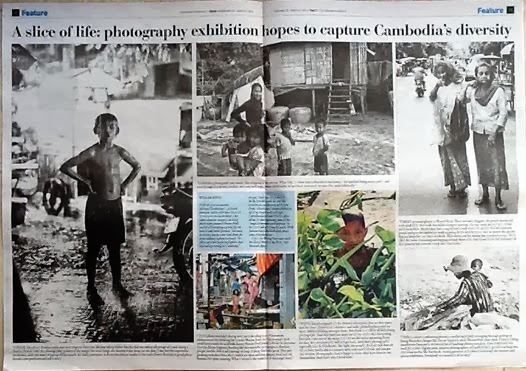 The show will feature a series of photographs he has taken during the Cambodia Photo Tour Klinkhamer is conducting throughout Phnom Penh over the last 6 months. 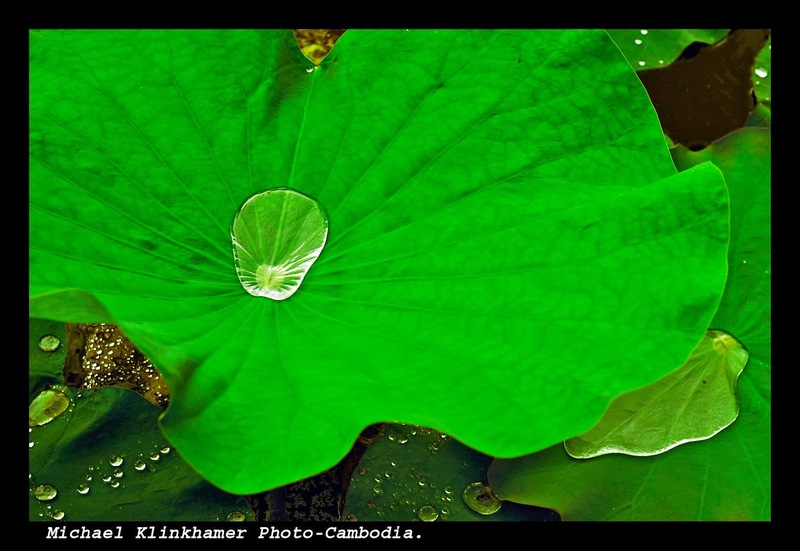 Klinkhamer is a professional photographer with over 25 years of experience. He is permanently based in Phnom Penh, and we met at the FCC Phnom Penh to discuss his experiences and travels, and how he wound up pursuing his photography and workshop teaching passion in Phnom Penh. Thanks for stopping by! So, how did you first get involved with photography? 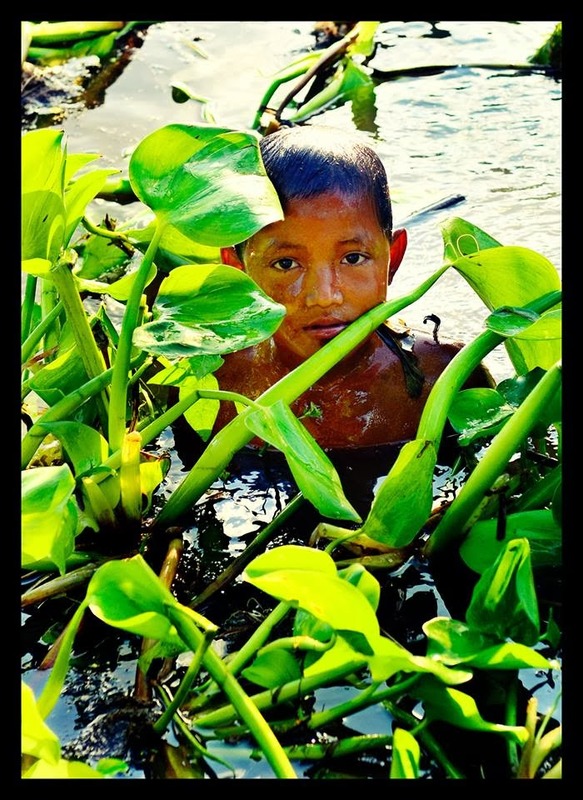 I started doing photography while traveling as a young man of 20 years old. I went to America, my first big tour. I bought a camera and pretty soon I was publishing my images in magazines. Eventually I started traveling in Asia. At that time I was already doing professional photography in Amsterdam, mainly studio work and made a good living, but needed to explore the world more. Asia was my second big trip. I went to Sri Lanka and Sumatra and then to Java and Bali around 1983. I started to take pictures with a Nikon FM2 with 2 or 3 lenses, using Kodachrome color film and Tri-X Black and white film of course. I did some really good photographs of people then. I ended up in Australia selling those pictures. Somehow there was a quality to it. Those kinds of pictures are more or less the same as I do now, to be honest. The same interaction of people I meet on the streets. Market people, monks, landscapes and stills. What happened after the trip to Asia? I went back to Europe after this tour and started working in magazine photography, shooting for high profile glossy publications in Holland, specifically on current affairs, arts and also business publications-annual reports, doing portraits of CEO’s. At some time I was asked by to photograph for the Dutch automotive industry, shooting portraits of designers, executives, the latest cars, Porsche, Jaguar, Alfa Romeo, etc. It was a photographer’s dream, at that time. You’re traveling in luxury on other people’s expenses. It’s like working in fashion. You are under pressure and supposed to get the job done at the highest level. In 2006 it was time for change. I started writing feature articles and for example on architects. Like, architect Daniel Libeskind in N.Y.C (Freedom Tower) and also on the provocative CCTV building by Rem Koolhaas in Beijing-China. In 2008, the Olympics were about to happen. So, I went there a few months before the Olympic games started to photograph the new architecture and general atmosphere in Beijing this time on assignment for Nikon-Pro their international magazine. A great showcase! But you didn’t stay in China, did you? My next venture was in Hawaii. As you get older things change in your personal life. It was always a dream for me to work in the Pacific. Asia, Bali, Indonesia . . . there’s a lot of reminiscences to the Pacific. Hawaii is such a strong, natural place to be. I was very lucky working as a volunteer at a retreat center, where people mostly did yoga and meditation and photography workshops and Hula dancing. It opened up my mind, the feelings of another way of living. I’ve found that here, too, actually, in Cambodia. That’s where I started to think about teaching and doing photo workshops. When did Cambodia enter the picture? 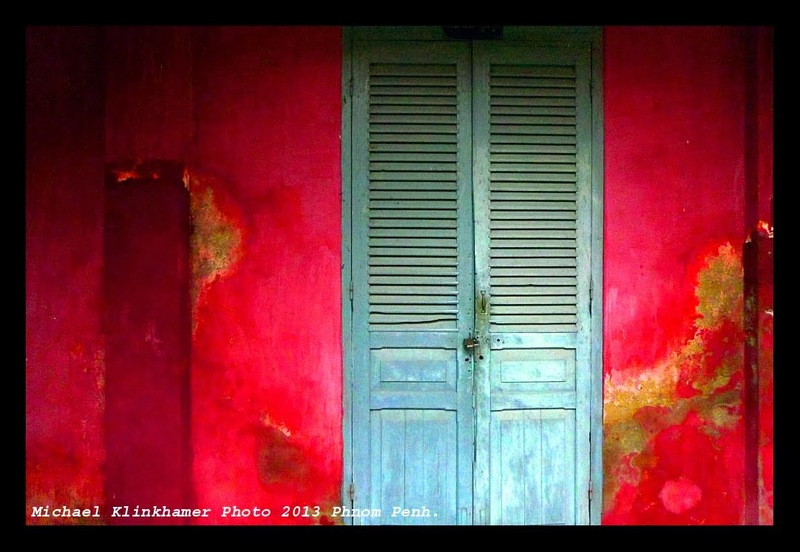 I came here in December 2010 to do an assignment on a famous Dutch painter living in Phnom Penh, Peter Klashorst. I published a feature article and pictures on him for a magazine. He was working on his exhibition for the S-21 prison museum doing monumental paintings on the victims of the Khmer Rouge. I was supposed to be here just for that interview, for a couple days, but I ended up living here ever since. I like this place, the people, the atmosphere, to work here as a photographer and writer, you can’t go wrong! And then also eventually in the back of my mind that good idea kept coming up, to do photography workshops and photo tours here. So that’s why I started Cambodia Photo tours and Workshops by klinkphoto six months ago. Setting up a photo workshop business, even though I don’t like the word “business,” is different. You’re helping and teaching people make the best out of their time and camera. They understand I am a professional photographer, they check my web site, blog and my work. They want to learn from a publishing and accredited photographer. I’m locally connected and know the place. They trust that I can take them to places they cannot find themselves. Two things I provide to them: mostly they don’t know how to operate their Camera and lenses, get the right settings and use the camera at its fullest. And also how to approach people and make a connection and walk away with a great image. I understand this and I explain how to do this and feel comfortable, while shooting. To know the camera, to feel confident, and to just ask to do a picture or just take it when it appears without hesitation. At Cambodia Photo Tours and workshops we do some camera handling theory and after that we go out shooting and putting it all to the test. It is walking tour, with a tuk-tuks on stand-by. I sometimes point out to the beauty of things. A lot of people are very keen photographers. I give them some new tools they can put that to practice immediately. Recently I’ve started to do a “slum tour.” There is a demand for this, it gives people something to think about and it is a reality here, so why not. I’m a little hesitant but I’ve done it a few times. It’s very confronting but also heartwarming. The air is filled with the smell of burning plastic, your feet are covered with dust, but the warm and welcoming intensity of the people makes you forget the hard impression. Of course your pictures are telling a different story. And I hope this brings awareness to the people and also to others that see them on Facebook or on their blogs. It is photo journalism on a level of social media. Everybody is a journalist these days after all. Talk about your relation with the FCC? Phnom Penh Post weekend 7days from 28-02-2014 publication. And what about the exhibit “You can’t go wrong here”? The title of the exhibition is an expression, I use often here in Cambodia during photo sessions. You really can take beautiful pictures here and there are great images everywhere. It’s a photographer’s dream to shoot here. It has to do with the wonderful friendly warm people, and the unique landscape. It works just beautiful. Cambodians are open, they might look serious at first, but when you smile they respond with joy. Khmer people are very open to new all things, new people, in what you have to tell them, what you can give them, and they like to hang out with you. Here, taking pictures are like breathing. The exhibition pictures I’ve chosen are a special collection. They express the beauty and sincerity of the people here. Mostly the photographs show the beauty of the place, the colorfulness, and the stark black and white. There are surprising moments. There are things that only happen once before my camera. All the pictures are from the past 6 months and all are from around Phnom Penh. These are images I’ve taken while conducting the photo tour. As I mentioned it’s a special collection of 35 pictures for sale. Prices are from $150 unframed to $200 framed. This show is my expression of gratitude for the opportunity to do my tours with travelers and people from a lot of nationalities visiting Phnom Penh and a big Awkoon to the Khmers in the images. It also proves that you can do pictures like this too. So join me next time and bring your own camera! Thank you! You can learn more about Michael Klinkhame by visiting www.cambodiaphototours.asia or www.facebook.com/cambodiaphototours. Cambodia Photo Tours by klinkphoto is hosting 1/2 day (from 1:30 pm) and full day tours and workshops (from 9:30am) meeting from the FCC daily.